Love is in the air! 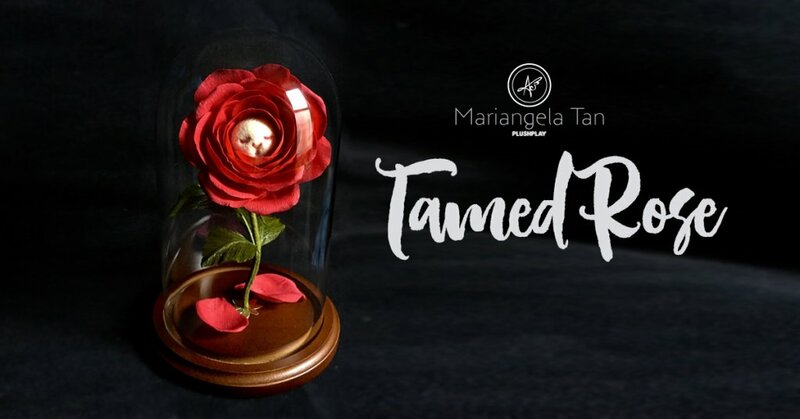 PlushPLAY by Mariangela Tan of PlushPLAY caught our attention with her all-new Tamed Rose. Handmade with love and care, Mariangela signature needle felted rabbit face is perfect for the Valentines Day or any given day for that love one or yourself. Looking at Tamed Rose, made us want to sing! Commission a Tamed Rose. Each one handmade by me with a needle-felted rabbit face and crepe paper petals protected by a glass cloche. This sweet flower bunn will always have a blush on its cheeks. She is a romantic at heart and has been a part of a couple of marriage proposals. The rose will be approximately 6″ tall inside an 8″ tall glass cloche (cloche will vary). You can request the colour of the rose. Mariangela doesn’t have every colour but Mariangela will work with you to come up with a choice you’ll be happy with. Most roses have hand painted petals. The Tamed Rose will be completed between 2-4 weeks depending on Mariangela show schedule. Please email Mariangela at [email protected] if you have any questions about the process or the delivery date.